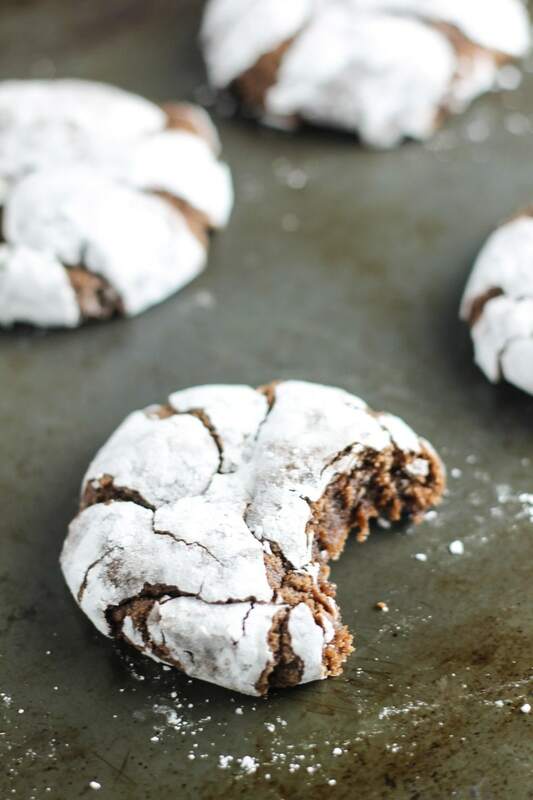 Gluten-free, dairy-free and pure deliciousness!, these Low FODMAP Cocoa Crinkle Cookies are SOO good – no one will know they’re IBS-friendly! In a large bowl, whisk together sugar and canola oil. Gradually stir in cocoa powder. Add eggs and vanilla, beating until well blended. In a separate bowl, stir together gluten-free flour, baking powder, and salt. Gradually add to cocoa mixture, mixing well. Cover dough and refrigerate for 6 hours or more. After dough has set, preheat oven to 350°F. Line cookie sheet with parchment paper. Roll dough into 1-inch balls before rolling in powdered sugar, to coat. Place on lined cookie sheet. Bake 11-13 minutes or until tops are crackled. Removed from oven and transfer to wire rack to cool before serving. Hi! This looks great. 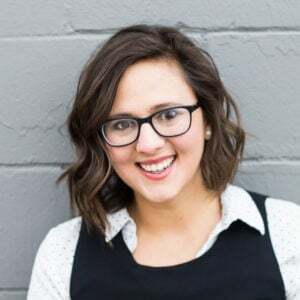 My daughter was just diagnosed with IBS and is a college student. Would like to make and send them to her for Valentine’s Day. How long do you think these will these last if not refrigerated? Hi Courtney! What a fun idea?! I tend to freeze my extra cookies right away, so I don’t have a great firsthand answer. From a quick Google search, it looks like most cookies should be okay outside of the fridge for at least 3 days. 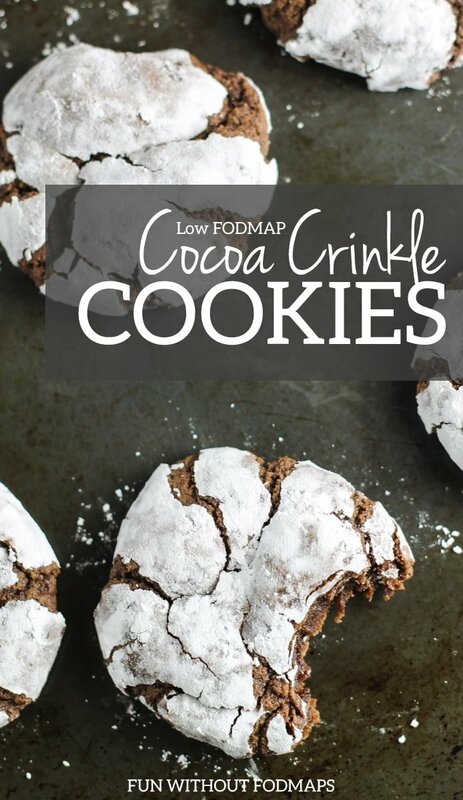 What is the saturated fat content in cocoa crinkle cookies verses total fat? Hi Diane, It is 0.5 grams per serving. 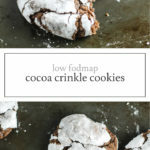 Hi, just want to check – is one cookie the full low fodmap serving? 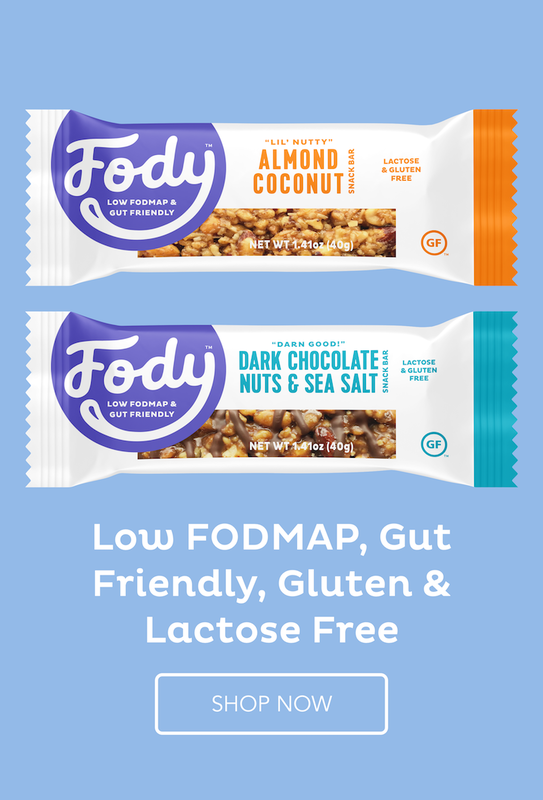 Just been been diagnosed gluten intolerant and IBS, been put on a fodmap free diet. I struggled at first to find things to eat, I have resorted to cooking EVERYTHING!! Love this recipe. Thank you. Can you replace the oil with coconut oil? Hi Darlene! Great question. I would think coconut oil would work in its liquid (melted) form. However, baking science tends to a little bit less flexible than cooking, so it might not turn out exactly the same. Let us know how it goes if you try it! You can use olive oil instead of canola. You want to make sure if it calls for a liquid at room temp oil, you sub with a similar oil. And olive oil is much better for your body than canola. Olive oil is great for baking. I would recommend using the more neutral-flavored extra light tasting olive oil (which I use in many of my baking recipes) if you’re not keen on the flavor of olive oil. These look great. Thank you. I wonder: if I cooled the dough, and then rolled it into a log, then put it back into the refrigerator to finish setting I could cut them like refrigerator cookies? I like to be able to slice and bake a few at a time and then keep the rest for later. I can’t eat gluten-free flour. More intolerant of GF products than wheat gluten! 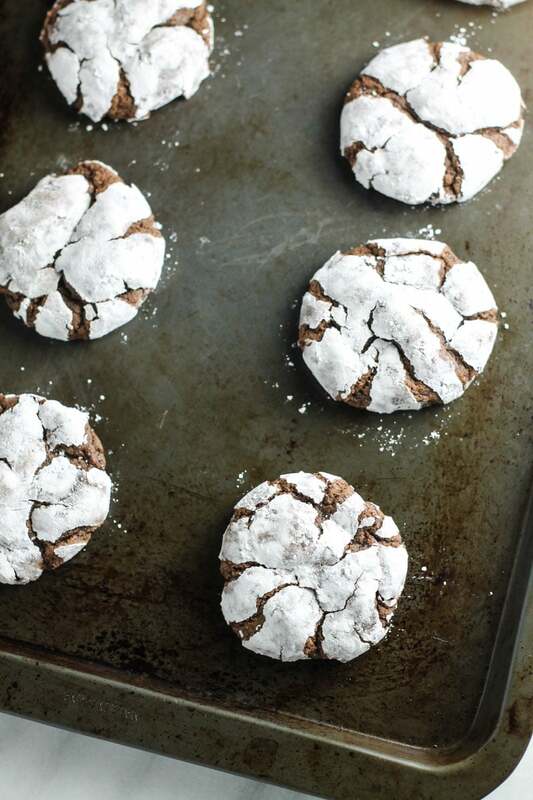 I do like light spelt flour, so I’ll make these with that.